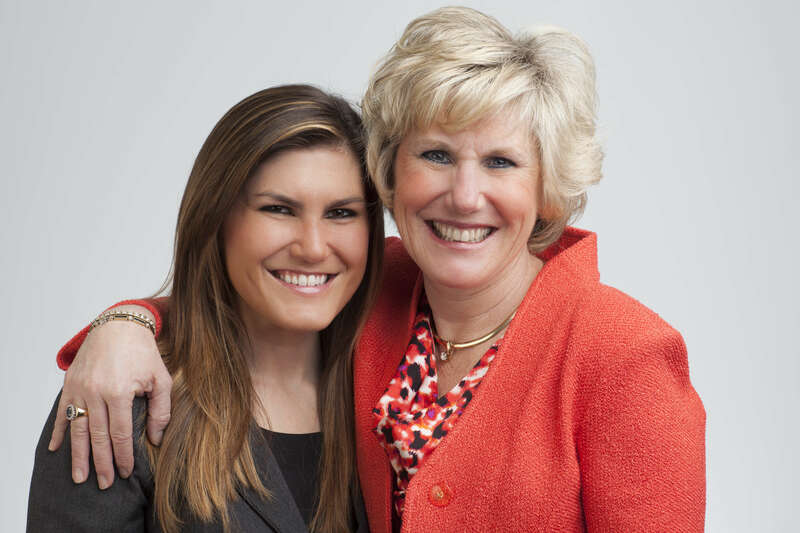 2014 Women of the Year in Philanthropy Winner Londa Dewey with her daughter Kristin. Londa Dewey honored by United Way of Dane County for her outstanding philanthropic service to the community. Londa Dewey, President of The QTI Group, received the United Way of Dane County Woman of the Year in Philanthropy Award at the Women’s Leadership Council annual membership breakfast on June 5. Londa was honored for a lifetime commitment to changing lives in the Dane County community. With a personal interest in improving the quality of life for all citizens, especially women, she has given her time, talent and donations to organizations that are committed to this mission. The Woman of the Year in Philanthropy award celebrates and acknowledges a woman who is committed to furthering our community’s Agenda for Change goals and educates, empowers and inspires women to be philanthropic leaders. Londa began her relationship with United Way of Dane County in 1982, shortly after starting her banking career in Madison. She was a member of the first formal Loaned Executive class, representing First Wisconsin Bank (which became US Bank) during United Way fall campaign. That experience has led to more than 30 years of involvement with United Way including volunteer service as the Employee Campaign Coordinator at her office, advancing to Chair of Key Club Committee to now serving as a Trustee for the United Way of Dane County Foundation. She has also served on the Campaign Cabinet and Chair of the community-wide United Way of Dane County Campaign in 1999. Londa also served for ten years on United Way’s Board of Directors which included two terms as Board Chair. During her tenure she oversaw the organization’s transformation to a new way of investing in community issues and delivering results. She also provided leadership during a capital campaign and our move to the Anderson United Way Center, an accessible and welcoming space for community work to occur. Londa continues as a Trustee and donor to the United Way Foundation, ensuring a base of support for United Way’s community impact work into the future. In addition to her volunteer service, Londa has given generously of her financial resources. She is recognized as a 32 year Loyal Contributor, and she joined the Tocqueville Society for major donors in 1999. She volunteers on behalf of the Tocqueville Society to recruit other donors at this significant giving level. In her role as a past campaign chair, she also served on the Strategic Campaign Issues Committee to help United Way identify opportunities and develop strategies to generate more resources through the annual campaign. At US Bank, Londa committed resources—both financially and personnel—to creating stronger communities and helping individuals pathways out of poverty. She supported a partnership with the Urban League of Greater Madison and Wisconsin Affordable Housing Corporation to create high-quality, affordable, single-family housing for larger low-income families. The program earned the Wisconsin Fair Housing Award for its innovative teamwork between for-profit and not-for-profit entities. An accomplished businesswoman, Londa has served as a role model for women throughout her career. As the first woman President of U.S. Bank in Madison, she personified what it means to be a successful, strong and thoughtful corporate leader. As President of The QTI Group, she continues to help people connect to resources. The company provides employment opportunities to more than 2,000 people each day. Londa has passed this love and commitment of community service to her adult daughter, Kristin, and son, Carlton, who have grown up with and continue involvement in philanthropic and volunteer work. The event, held at Nakoma Country Club, was sponsored by American Family Insurance and Madison Investment Advisors. The award was designed and provided by Goodman’s Jewelers. Additional corporate sponsorships include American Printing, Baker Tilly GROW, BMO Harris Bank, Credit Union National Association, CUNA Mutual Group, Hilldale Mall, Johnson Bank, KS Energy Services LLC, Meriter Health Services, Inc., Michael Best & Friedrich LLP, Park Bank, The QTI Group, Summit Credit Union, SVA, TEC Mailing Solutions LLC, US Bank, UW Health & Unity Health Insurance, and Wipfli. In-kind donations were received from Big Sky Restaurant, Bunky’s, Chocolaterian, Edgewater Hotel, FairShare CSA Coalition, Gigi’s Cupcakes, Group Health Cooperative of South-Central WI, Isthmus, Madison Family Dental, MG&E, Stoughton Floral, Stoughton Opera House, TASC Inc., and Universal Soul Massage LLC.